Retirement is something that we all look forward to but once we get there, what is there to do? Some of us revel in the thought of being able to relax with nothing to do. And although it sounds nice, it can get monotonous for many of us. This can lead to boredom and even eventually to depression. So it is important to find ways to spend the time and to remain productive, even in your golden years. You will want to find a good home care company in La Mesa, California. This may not sound too exciting at first but through their personalized services, they can help you find the time to do the things you love. Instead of wasting your time with mundane activities, a home health aide can handle this for you. You will have much more energy and time to put towards living the lifestyle you want. One of the best things you can do to keep boredom at bay is to find a hobby. There are many different kinds of hobbies out there from making models to gardening. Find something you are passionate about. This will not only help you have fun but it will also help you feel productive, which is very important. When we are not productive, it can be terribly easy to slip into depression. Another great way to pass the time is by exercising. Regular physical activity is not only a good way to maintain your health and youth but it is also quite fun. At first, it may feel like a challenge but, eventually you will look forward to your next workout session. 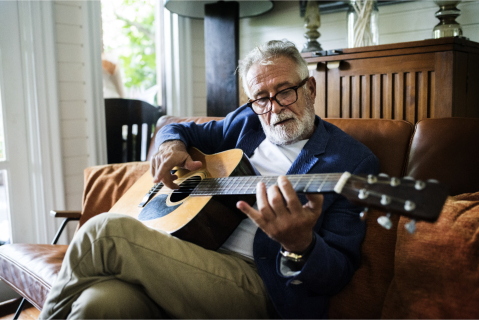 Those are just a few of the many factors to consider when you are interested in staying busy during your retirement. If you would like to find out more about what you can do to keep boredom at bay or if you are interested in our home care agency in California, please feel free to get in touch with Sunshine Home Health Aide Org., Inc. for more information anytime.